For years scientists have theorised about the amount of water locked in the Earth's infernally hot depths, frustrated at not being able to get at a sample. 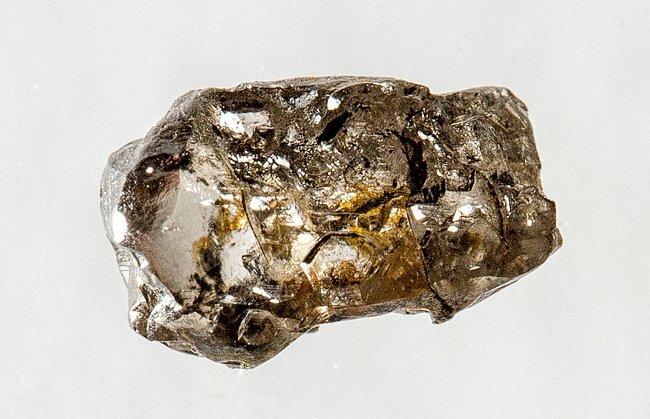 Now geologists claim to be closer to an answer – thanks to a single ugly diamond found in Brazil. The brownish gem – bought for about $20 but of inestimable scientific value – has given researchers the first ever terrestrial sample of a rare mineral known as ringwoodite - the highest pressure high-pressure polymorph of olivine currently known to exist. Analysis of the tiny sample of ringwoodite within the glistening gem shows that it contains a significant amount of water – 1.5 per cent of its weight – hinting at huge volumes of water beneath the surface of the Earth. Olivine – a green magnesium iron silicate – has been predicted to exist in its high-pressure gemstone form, peridot in the transition zone. Ringwoodite, the highest pressure peridot, has previously been found in meteorites, but has never been discovered on Earth before because scientists can't reach the planet's core. The Brazilian "diamond" was found on the surface in 2008 after being brought to the top by a volcanic rock known as kimberlite. When Pearson and his team bought the sample, they were actually looking for another mineral and stumbled on the ringwoodite by accident. The tiny sample of mineral has confirmed around 50 years of theoretical work by geophysicists and seismologists trying to define the makeup of the interior of the Earth and in a way, proves both the dry and wet theories. It shows that the transition zone is an oasis of water in what is otherwise a very dry deep core, containing a vast mass of water recycled from the surface. This water may be responsible for many of the tectonic and volcanic features that make the Earth such a unique planet. The University of Minnesota has a reasonably informative page about olivine here.